Eduard Alexander Felix Kersten (30 September 1898 – 16 April 1960) was before and during World War II the personal physical therapist of Heinrich Himmler. Kersten used his contacts with Himmler to help people persecuted by Nazi Germany. Kersten was born in a Baltic German family in Tartu (Dorpat), Imperial Russia, now called Tartu, in Estonia. During the First World War he fought in the German Army and arrived in Finland in April 1918 with the German forces that intervened in the Finnish Civil War. Kersten served for a while in Suojeluskunta, was granted Finnish citizenship in 1920, and in September 1921 was commissioned as a 2nd Lieutenant (vänrikki) into the Finnish Army. After his return to civilian life, Kersten remained in Helsinki, where he studied therapy with the specialist Dr Colander, and after two years was awarded a certificate in physical therapy. He then left for Berlin, where he continued his studies and eventually became the pupil of a notable Chinese therapeutic masseur, Dr Ko, whom he had met at a dinner party. In 1925, Ko told Kersten "You have learned all I can teach you." He then turned his practice over to Kersten and retired to Tibet. Kersten had a number of influential patients, among them Prince Hendrik of the Netherlands (after 1928) and Benito Mussolini’s son-in-law, the Italian Foreign Minister Count Ciano. Kersten accepted Heinrich Himmler's request to become his personal physical therapist, writing later that he feared for his safety if he had refused. He was able to alleviate Himmler’s severe stomach pains with his skills and gained his trust. Kersten used this trust to obtain pardons and the release of underground prisoners, labor camp inmates, homosexuals and others. During the War, Kersten also provided information to the OSS, predecessor of the CIA. 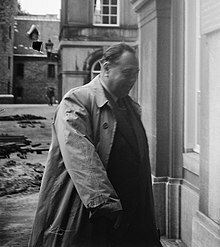 Towards the end of the War, Kersten arranged a meeting between Himmler and Norbert Masur, a member of the Swedish branch of the World Jewish Congress, in Hartzwalde, a few miles from Ravensbrück concentration camp. As a result, Himmler agreed to spare the lives of the remaining 60,000 Jews left in Nazi concentration camps days before their liberation by the Allies. In December 1945, the World Jewish Congress presented Kersten with a letter thanking him for helping to save Jewish concentration camp victims. In his post-war memoirs Kersten takes credit for saving, among others, the whole Dutch people from forced deportation to Nazi-occupied Eastern Europe. In January 1950, the Dutch monarchy awarded him the Order of Orange-Nassau on this account. However a later investigation by Dutch historian Louis de Jong concluded that the mass deportation plan had not existed and that many of Kersten's documents were fabricated. The Swedish archives testify that Kersten was intermediary between Himmler and Count Folke Bernadotte in the negotiations that led to the rescue operation 'The White Buses', saving hundreds of Norwegians and Danes from certain death in the last days of the Third Reich. Kersten’s claims of being instrumental in saving Finland’s Jews from German hands may be exaggerated, but the Finnish government did use his services in the hope of influencing Himmler. After the War, Kersten lived in West Germany and Sweden, taking Swedish citizenship in 1953. He died in Hamm, while visiting Germany, aged 61. Kersten's war memoirs were published in English translation in 1947 and a second edition was published in 1956 (The Kersten memoirs, 1940–1945, London 1956) with an introduction by Hugh Trevor-Roper. Writer and journalist Joseph Kessel was the first to write about the life of Felix Kersten, in his book The man with the miraculous hands (1960). 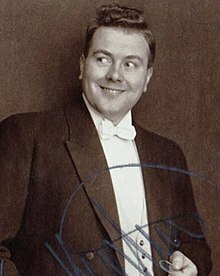 Felix Kersten is parodied in the Woody Allen book Getting Even, in the chapter entitled "The Schmeed Memoirs", in which a fictional barber in wartime Germany describes his time as a hair stylist for Adolf Hitler and other high-ranking Nazi officers. Kersten also appears as a character in the film Hitler: a film from Germany, directed by Hans-Jürgen Syberberg and as the main character in the 2014 novel Gods and Devils. Kersten is played by actor Martin Jarvis in the radio play by Neville Watchurst A Vital Flaw, about his work to help Heinrich Himmler's health. The play was first broadcast on BBC Radio 4 Extra on 5 September 2009. ^ a b Amitzur Ilan (1989). Bernadotte in Palestine. St Martin's Press. pp. 40–42. ^ Louis de Jong, 1972, "Hat Kersten Das Niederlandische Volk Gerretted?". Reprinted in German translation: H-H. Wilhelm and L. de Jong. Zwei Legenden aus dem dritten Reich: quellenkritische Studien, Deutsche Verlags-Anstalt 1974, pp 79–142. ^ Kersten, Eduard Alexander Felix. BBLD – Baltisches Biographisches Lexikon Digital. ^ Morgan, Jason (2014). Gods and Devils. Australia: JJ&C Corporation. ISBN 978-0-9925468-0-9. ^ "Neville Watchurst – A Vital Flaw". BBC. June 12, 2011. Retrieved March 27, 2012. Documentary film in Finnish: Who Was Felix Kersten? Satan’s Doctor documentary (directed by Emmanuel Amara, produced by Sunset Presse). Heinrich Himmler's private doctor on YouTube clip containing footage of Kersten and Himmler. This page was last edited on 16 April 2019, at 07:43 (UTC).